If you are a Superintendent or Pharmacy manager you will know about Standard Operating Procedures (SOPs)! It seems they are endless. Every staff member needs to sign each document which is often 8 pages long and there can be over 100 of them! Mike works in an extremely busy pharmacy based in a GP's surgery. One day, at work a new shop assistant was starting and as the Superintendent he had the duty to present her with 120 SOPs to read and sign. The first day she was absorbed, did little work and managed to read and sign 30 of them. The following week the same, the week after the same, on the fifth week Mike went to check whether she had signed all the documents, she hadn't. Mike marked each page with a post-it note to ensure she signed the documents. 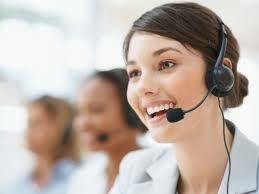 On the sixth week, Mike checked that she had at last correctly signed each document. The next week she had to go back to college and she was never seen again. The story above is not uncommon. Due to the ever-increasing governance requirements set out by the GPhC Five Principles and the CPAF, independent pharmacists are put at a disadvantage in comparison to multiples. Because of their economies of scale, the multiples have created their own IT infrastructure serving out SOPs electronically via email, there is no independent provider of such solutions to the wider market, until now. Using the HubNet.io Team Builder tool you can now send our in-house 150+ SOP templates directly to your staff via email to be electronically signed. We also give you the option to use our template human resources templates as well so that you can easily contract new staff. Below is a picture of the Superintendent files interface that we provide containing the SOPs. As you can see "Supply Specific Products" file is open and the various pharmacy SOPs are displayed which can either be edited, deleted or sent to the staff with the "Read Again Button". 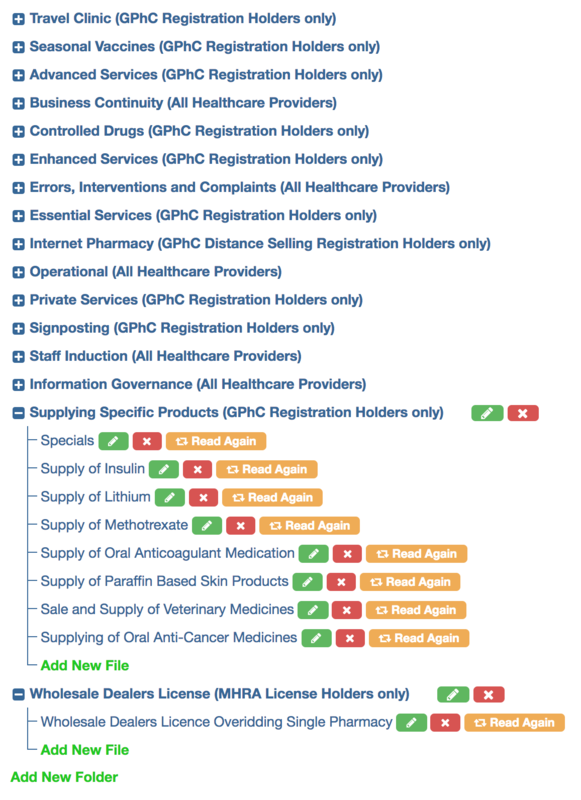 These digital pharmacy SOPs can be extremely useful when used in conjunction with our online Controlled Drugs registers as they direct the user in how to maintain the register and avoid error which ultimately allows the pharmacy owner to meet Information Governance and GPhC clinical requirements.